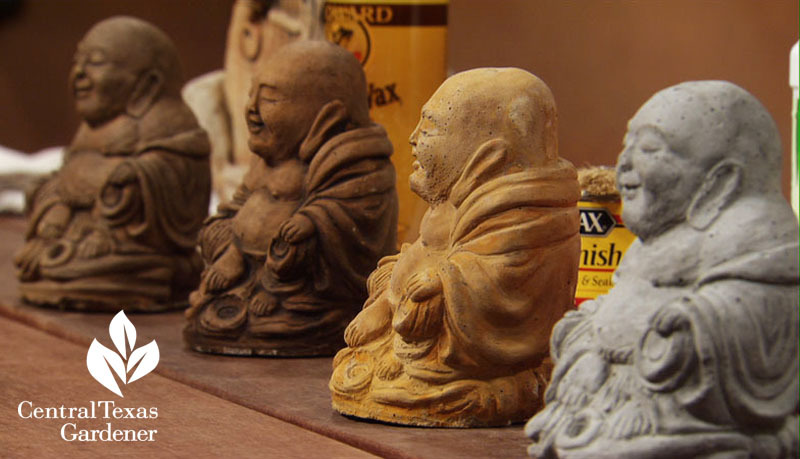 Since July is great for tackling the non-sweaty projects on our list, this week see how to make magic out of plain concrete sculptures, pavers, and benches. I tapped Merrideth Jiles for this one since years ago he gave my concrete cocker spaniel a new “coat.” Chester the real dog passed away at Christmas, so I really value my sculpture. 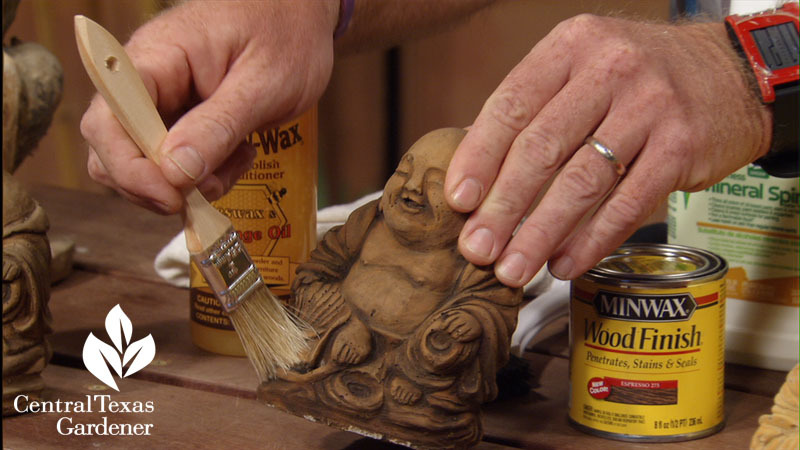 He explains the steps to colorize: spray with iron chelate, brush and wipe stain, protect with beeswax to preserve color. Go crazy! And get a little sweaty since you’ve got to do this one outside, right? Merrideth’s on his own now, delivering on-target-drought design and consultation services, yippee! 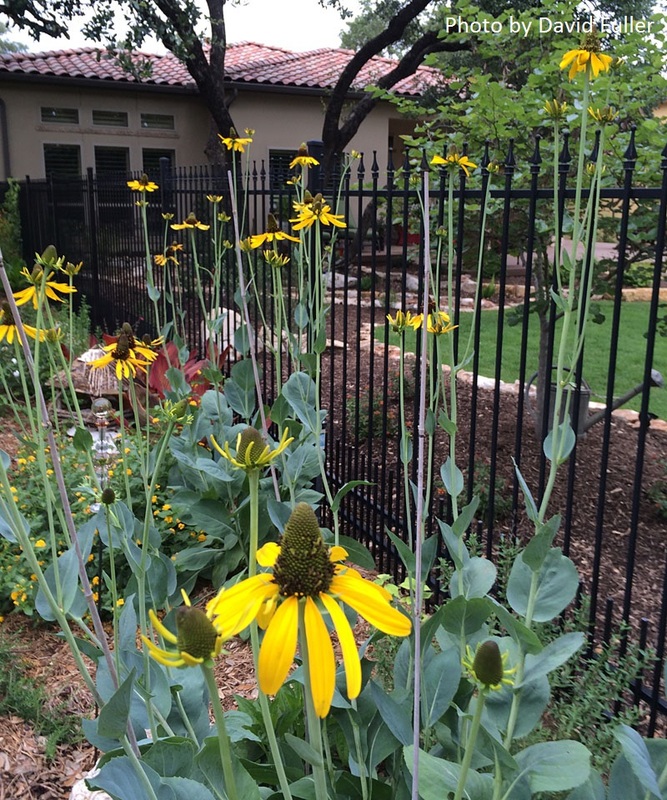 Another cool project: plan spots for wildflower seeds this fall. 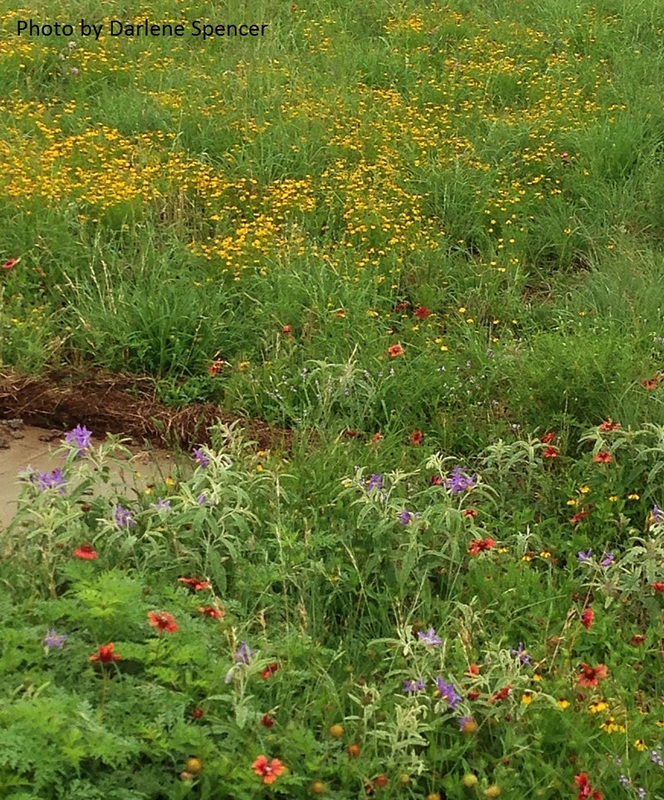 I’m so impressed about how many gardeners are restoring prairies. One is Darlene Spencer near Fredericksburg, who gets our Viewer Picture. 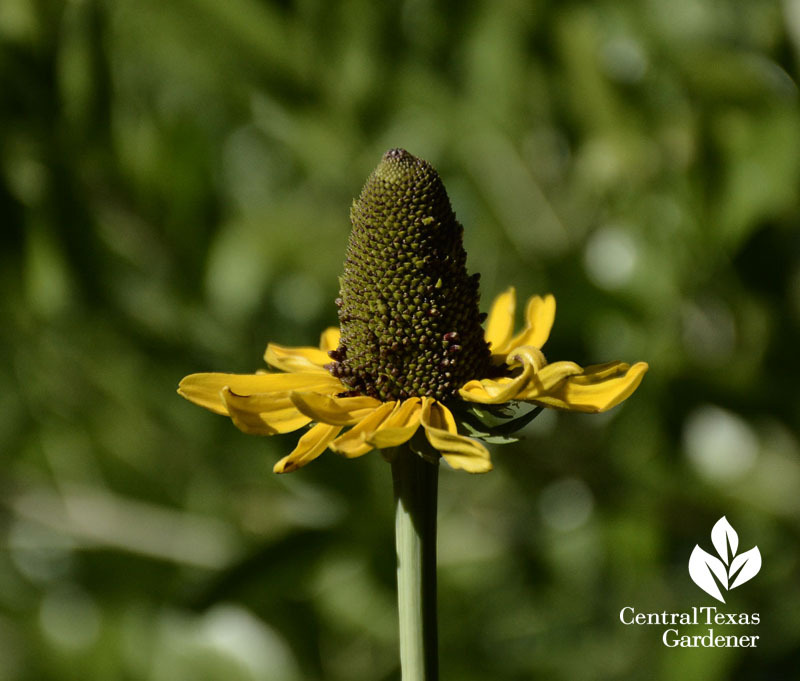 Marie & David Fuller from San Antonio sent in their lovely native giant coneflowers (Rudbeckia maxima). 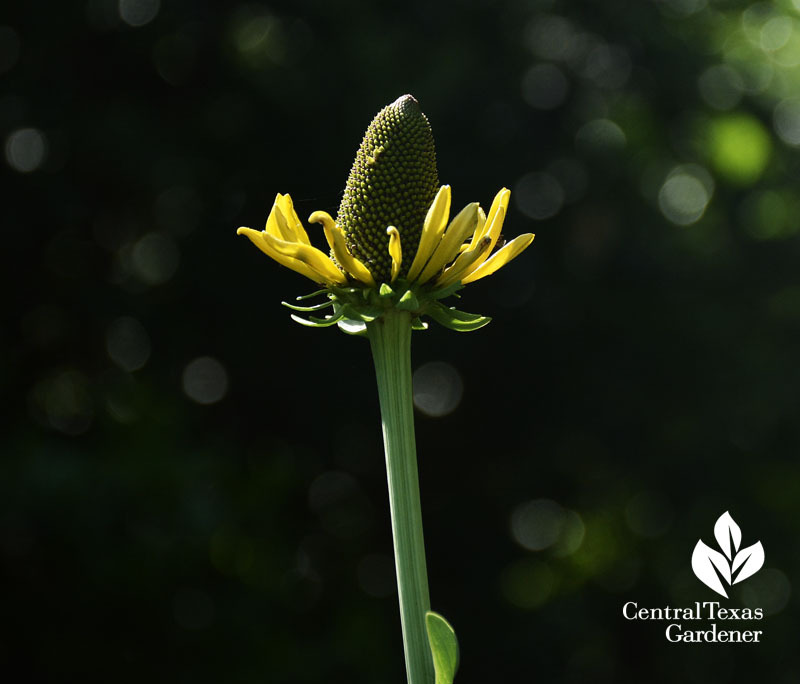 Daphne explains how to grow giant coneflower as Plant of the Week. I got my first one last year after admiring it in so many native plant gardens. I love the leafy silvery foliage that hunkers down quite low & tidy, until late spring/early summer when it claims its name with over-the-top bloom spikes. Sort of like succulents in spring. Mine gets some morning sun and then afternoon sun late. 12° last winter didn’t faze it. Daphne advises cutting back this evergreen perennial after it blooms. Although it likes moist spots, mine has made it through weekly watering, though I gave it a little extra last year as a late-planted newbie. Deer-proof, so they say. 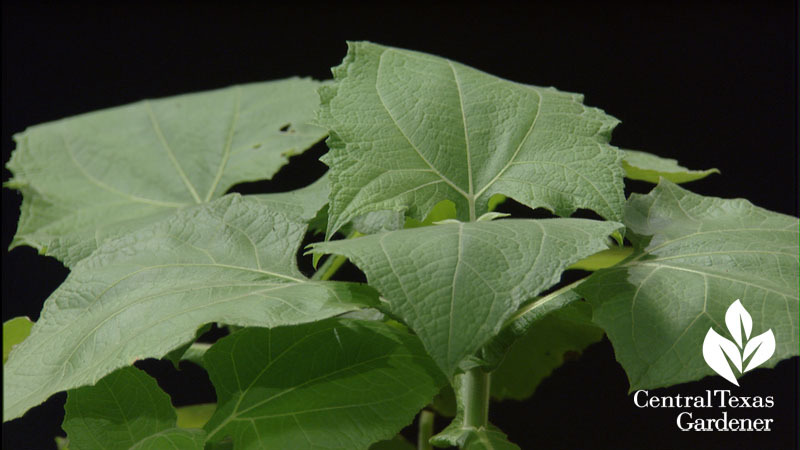 Now, you’ve heard of lemongrass, but what about yacon, gynura, oca and moringa? 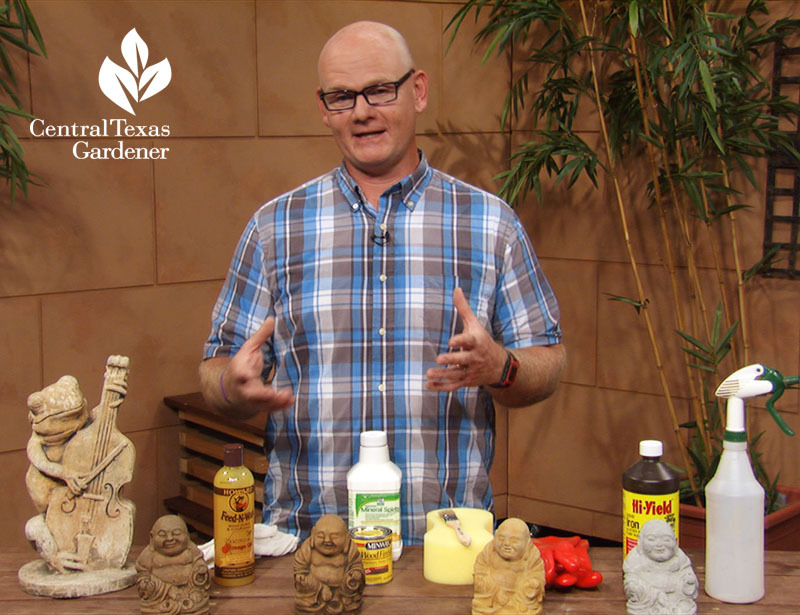 Jay Beard from Lone Star Nursery joins Tom to introduce us to some exotic edibles that take the heat. 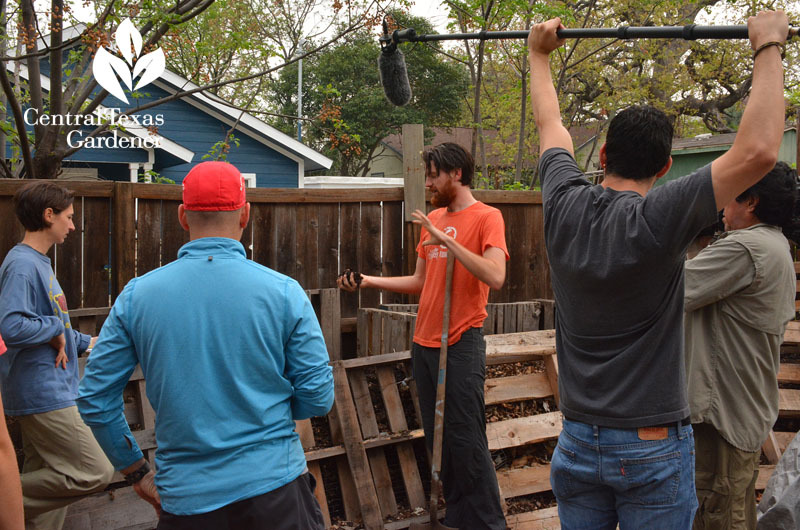 Lone Star Nursery is a family operation, celebrating their 10th anniversary! 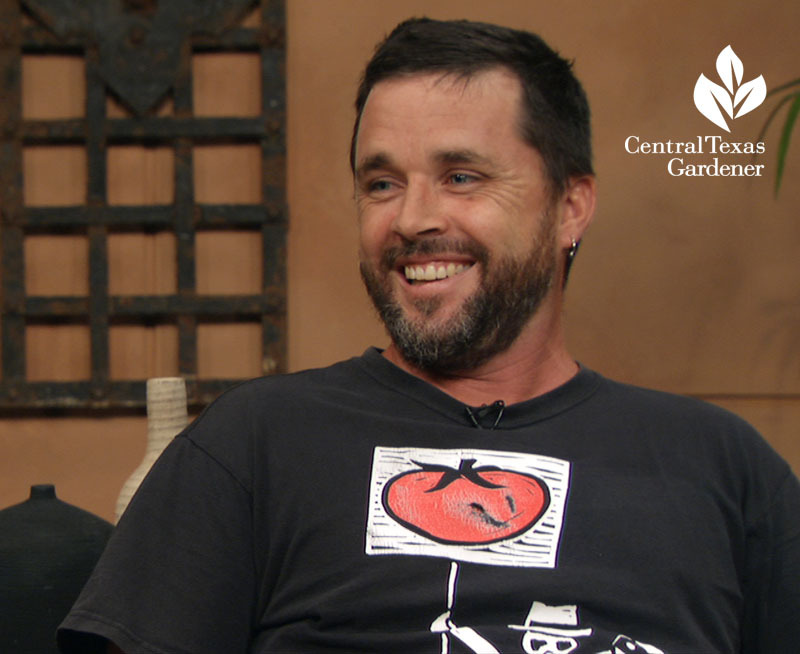 Jay and wife Flint raise plants organically, starting from seed. 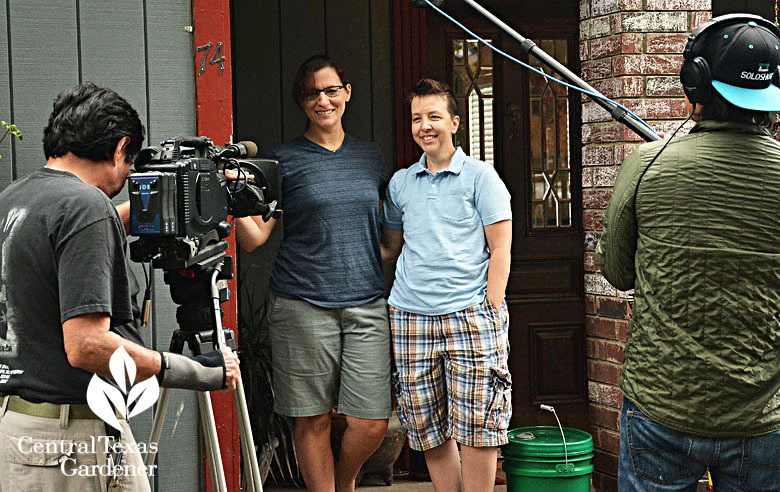 They’re also raising four great kids, who (except for the baby) can tell you all about yacon. This summer blooming perennial rewards you with pounds of sweet potato-like tubers come January. 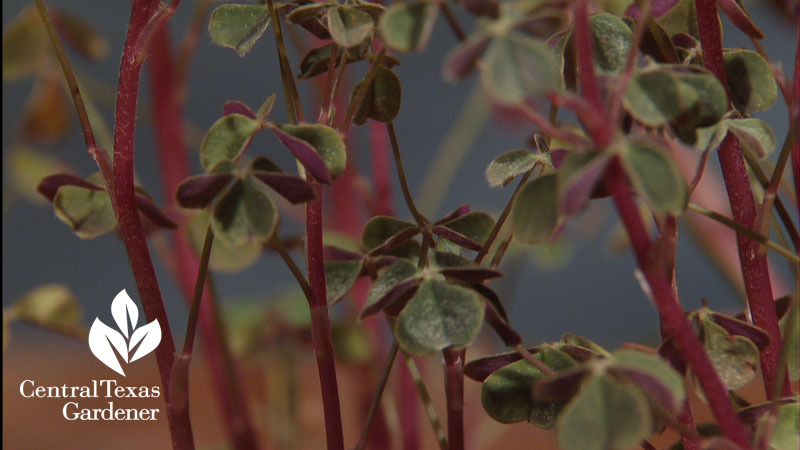 Oca: looks like oxalis, don’t you think? Its leaves are edible and its prolific tubers have a crispy apple/pear flavor, akin to jicama. 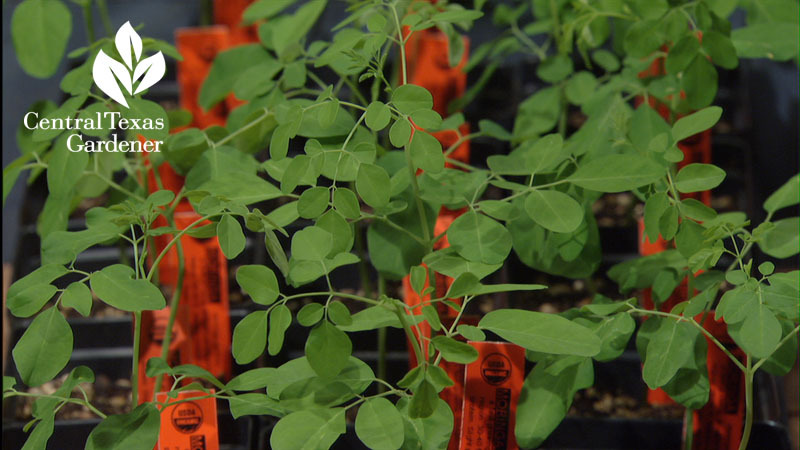 Moringa turns into a 15 -20’ tree. 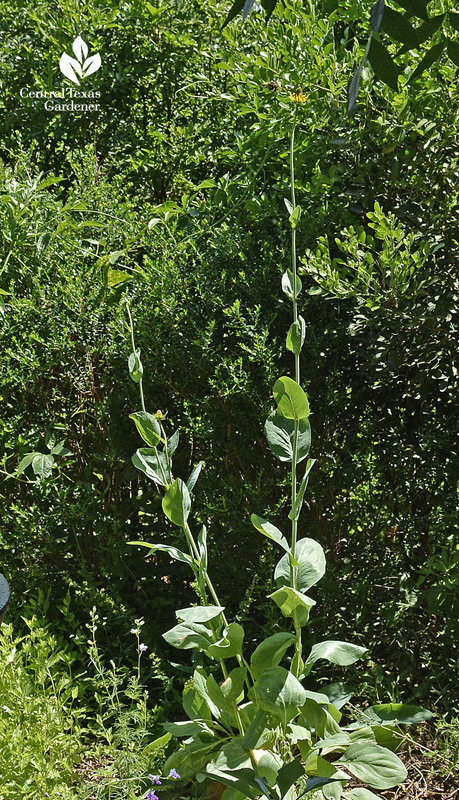 Leaves, seed pods, and tubers are not only edible but high in vitamins. Since it’s got a 50/50 chance to return after freeze, grow in a pot and protect in winter. You’ll find Lone Star Nursery (and some of the kids, too) at Saturday’s Sustainable Food Center Farmers’ Market downtown. 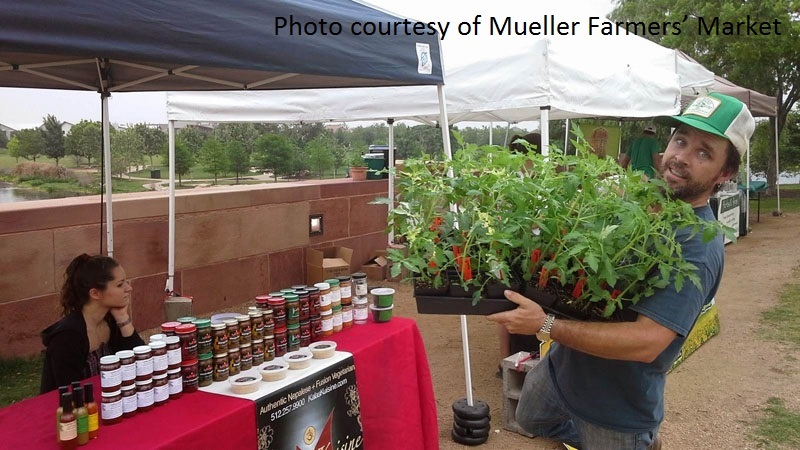 And at the Mueller and Cedar Park Farmers’ Markets to pick up these plants and learn more about them. 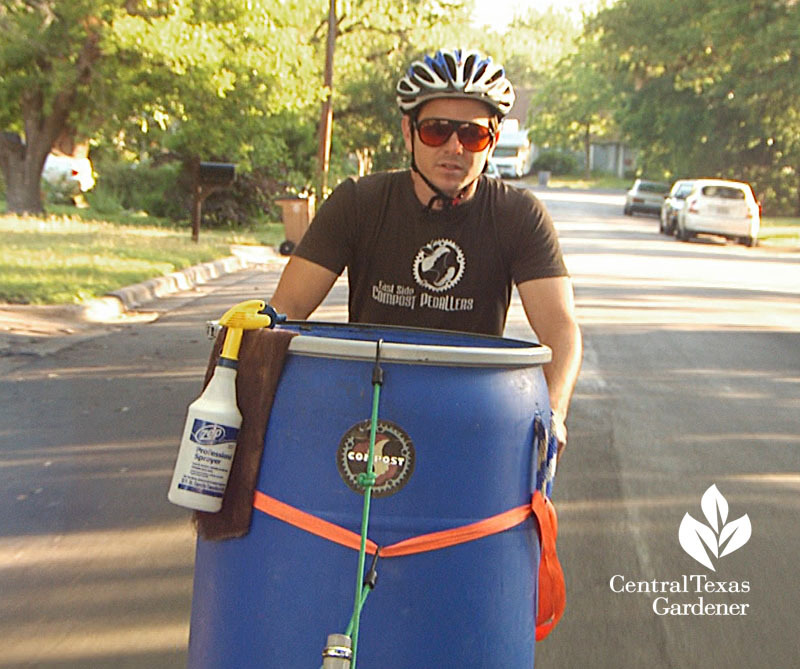 Online at Lone Star Botanicals, and at the markets, pick up Flint’s organic skin creams, medicinal tinctures, teas, essential oils and even natural mosquito spray concocted from their plant trimmings. 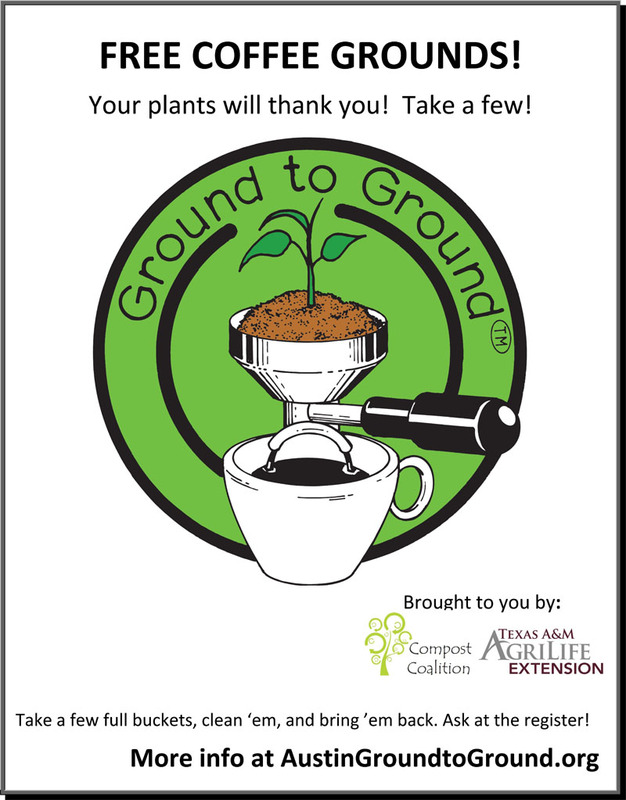 Another local recycling initiative, Compost Coalition, encourages picking up coffee shop grounds to spare the landfill and add nitrogen to our compost piles. 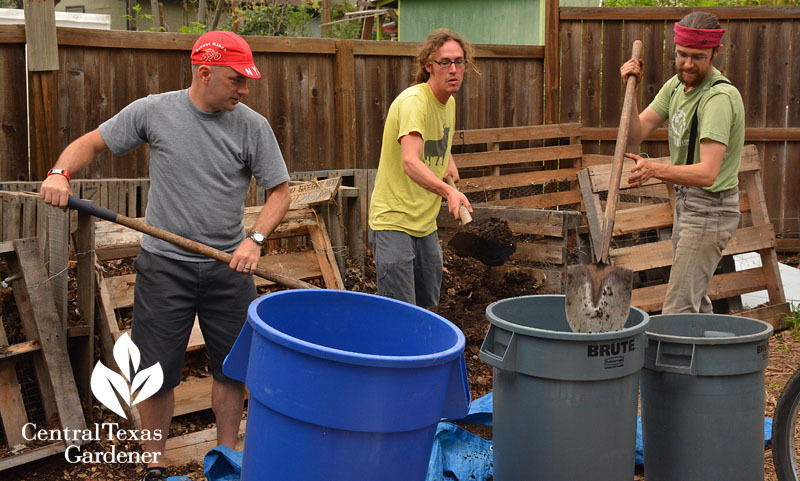 Daphne explains how Ground to Ground can perk up your compost pile even when we’re feeling too sweaty to turn it. 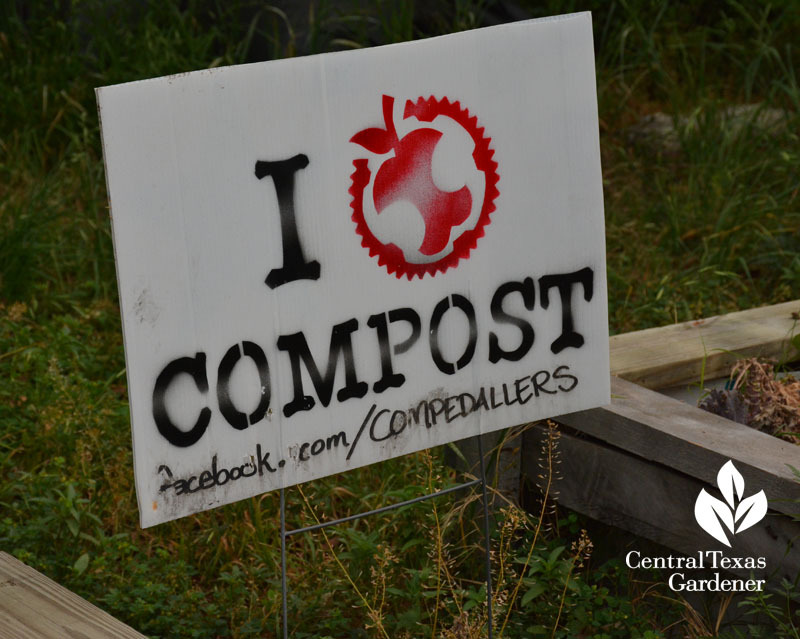 On tour, freeze, snow, rain or heat doesn’t deter the East Side Compost Pedallers from their mission: to turn residential and commercial “scrapple” into compost, one cargo bike at a time. 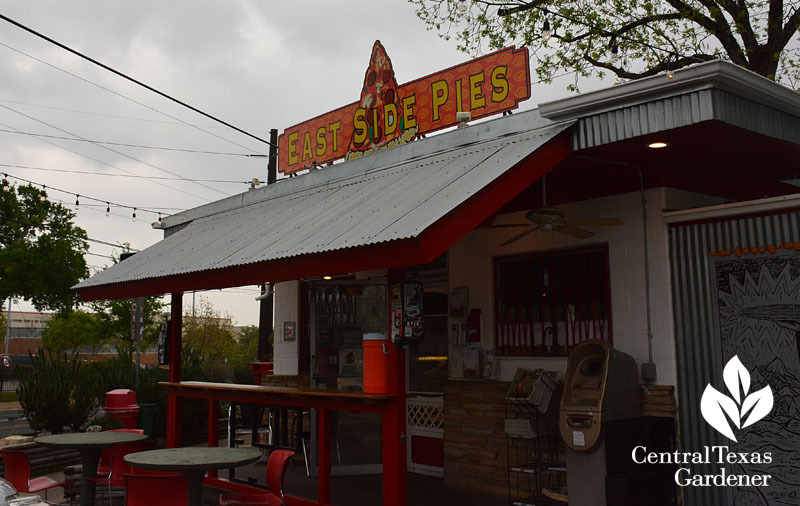 Commercial customers like East Side Pies turn their vegetable scraps into rich compost at local farms, microgrowers, community gardens, and for their members. Cost savings to local farmers: $3284. 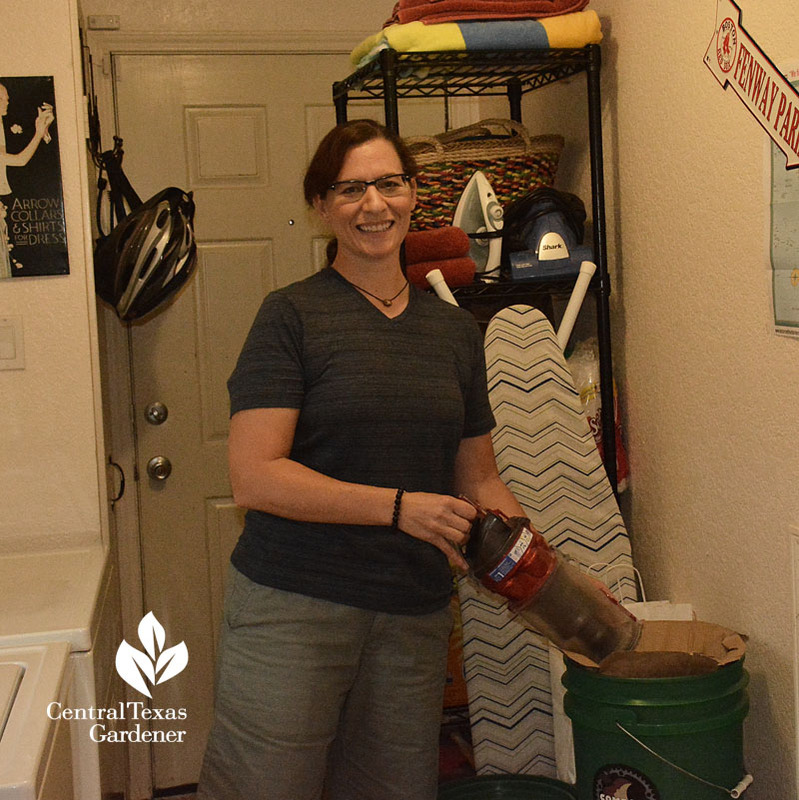 Monica and Dannea Nelson give us a quick tour of a few things they recycle at home, from vacuum cleaner collection to junk mail (including what mail to compost and what to recycle). Great way to avert identity theft and feed your tomatoes at the same time!